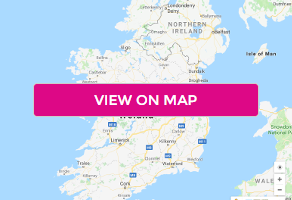 The Seven Oaks Hotel is just 50 minutes from Dublin City Centre and conveniently located close to the major airports and ports of Dublin, Rosslare and Waterford. The hotel's unique charm, excellent cuisine and generous hospitality make the Seven Oaks Hotel Carlow the perfect place to relax and unwind or host your conference event or special occasion. A warm welcome awaits you at the Seven Oaks Hotel, Carlow where timeless elegance and decades of excellence combine to make the hotel an impeccable choice for the discerning guest. Nestled in Carlow’s bustling town centre and within short walking distance of Carlow’s new cultural quarter, the Seven Oaks Hotel Carlow provides a perfect base for your destination leisure break. The hotel boasts a state of the art Leisure Club, use of which is complimentary to all guests. Guests can also enjoy complimentary car parking, high-speed Wi-Fi throughout the hotel and an array of dining options during their stay. Renowned for this impressive dining experience, The Seven Oaks Hotel serves fresh local produce in mouth-watering dishes. Carvery Lunch is served daily in our bar, together with a full evening bar menu available until 9.30pm Sunday to Thursday inclusive and 10.00pm Friday and Saturday.